BADA BING is the funniest and biggest gentlemen’s club & Stripclub in Copenhagen, located at Gothersgade 19, right in the middle of Copenhagen’s nightlife with neighbors like Andy’s Bar, Wall Street Pub, Stereo Bar, Mini Bar, Da Vinci Bar, Downstairs, Natcafeen, Duke and many more. BADA BING offers striptease in international class and our talented Strippers will do everything to make your evening unforgettable and bring the party right to your table. 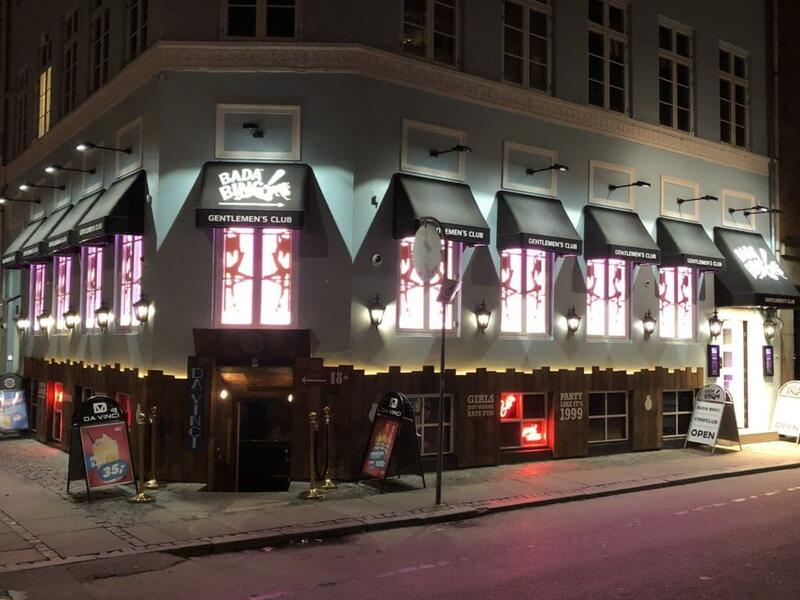 BADA BING offer 2 floors of pure entertainment with Non-Stop Striptease, Lap-Dance and Private Shows and offer Copenhagen’s largest selection of spirits and champagne, to prices that everyone can enjoy. Whether you are planning a Bachelor Party or an extraordinary night out with the boys, BADA BING will always be the right club to choose. BADA BING is within short walking distance from Copenhagen’s best hotels such as Wake-up Copenhagen, Hotel D’Angleterre, Hotel Phønix and Admiral Hotel.